With the help of many family members over the years, and especially Elizabeth Nelson Gable, we are able to share this information and pictures. 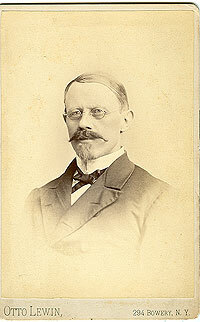 Charles (Karl) Missenharter was born, Sept 17, 1829 in Ulm Germany and died in May of 1899 in Jersey City, New Jersey. His parents were Joseph Anton Missenharter and Katherine Dorothea Schuler. Charles and Karoline Maria Stahlecker, born March 4 1836 in Blaubeuren, Germany, married August 20 1860 in Stuttgarrt, Baden-Württemberg, Germany. 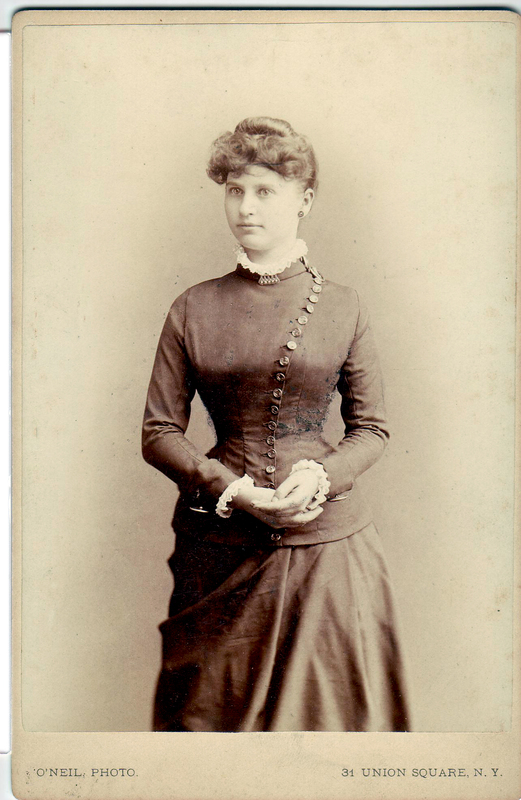 Julie Frederike Missenharter born Feb 24 1865 Germany, died Dec 15 1934 Germany, She never married. Charles (Karl) left his wife Karoline and children in Germany to Establish his business, later sending for eldest son august in 1870, after meeting and marrying his 2nd wife, Katherine Winkler. This marriage resulted in another son Charles Missenharter jr born in 1876 in New York. Charles died August 5, 1896 in Brooklyn New York, his will is provided below. Joseph Anton Missenharter was also listed as an instrument maker in Ulm Germany. He is listed in a directory in Ulm as an instrument fabricator of Trumpettes, Coronets, Bugles. He was also listed in a directory for Ulm Germany in 1860 as Inventionstrompete, Brass instruments made with a deepest clay/tone with 3 plugs and a mouthpiece. August Karl Missenharter b Jun 9 1861 in Ulm, Baden-Württemberg, Germany and died in 1937 in Jersey City, New Jersey. He married Maria (Mary) Bilgenroth b Dec 28, 1862 in Germany and died in 1941 in Jersey City, New Jersey. Elsa Carrie Missenharter, b Oct 22 1888 in Manhatten New York. She married Ranse Rogers b May 1883, died 1964. 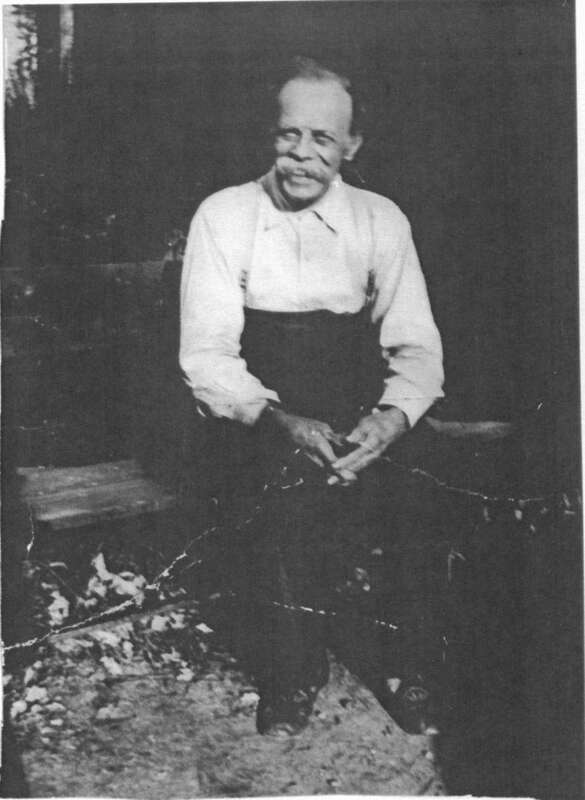 He is the brother of Stanley Rogers that married Carolyn Ann below. 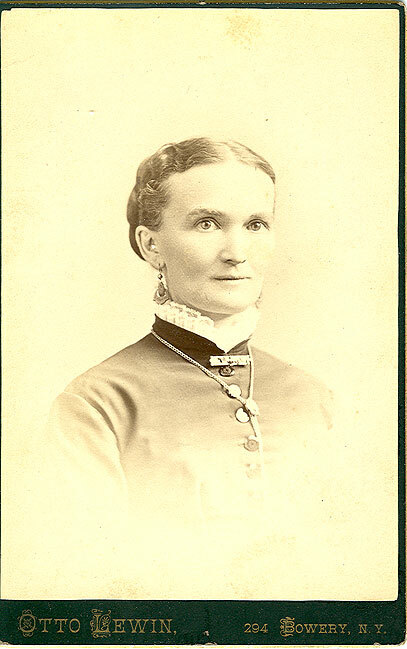 Carolyn Ann Missenharter, b Sep 26 1890, died Dec 3 1980 in Prince Frederick, Maryland. She married Stanley Warden Rogers b. sep 6 1891, died jan 6 1964. 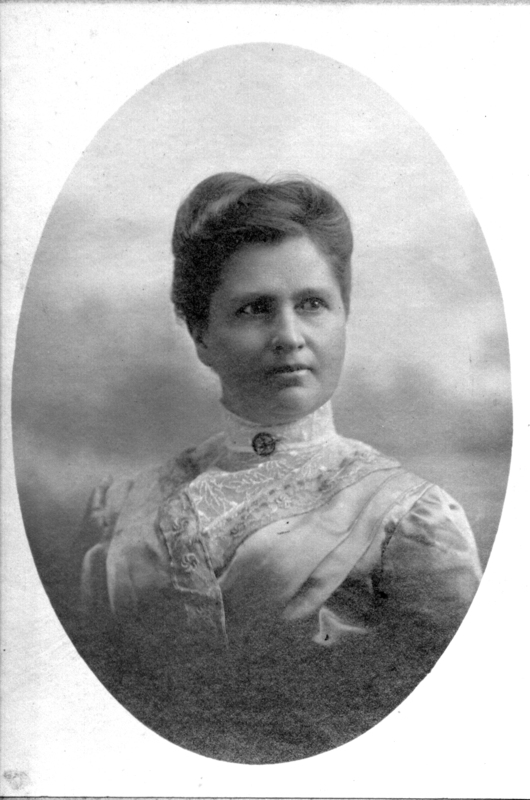 Emma Missenharter, b 9/16/1893, died 4/8/1975, never married. 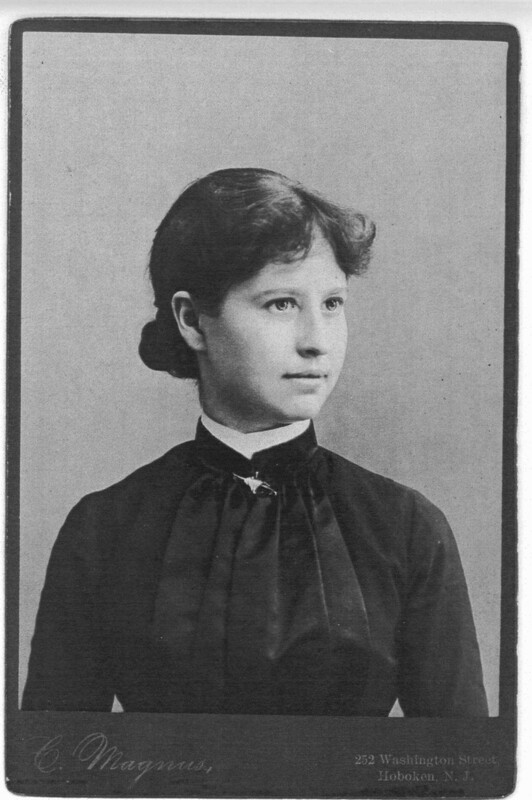 Florence Missenharter, b 1894, died 1980. 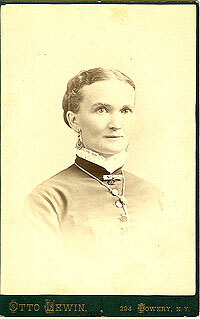 She married Victor Bradley. Frederick C Missenharter b 1894, died 1935. he married Adele Crutchley b 1896, died 1918. Helen Missenharter b 1905, died 1986. She married Walter B. Tulp b 1904, died 1955. 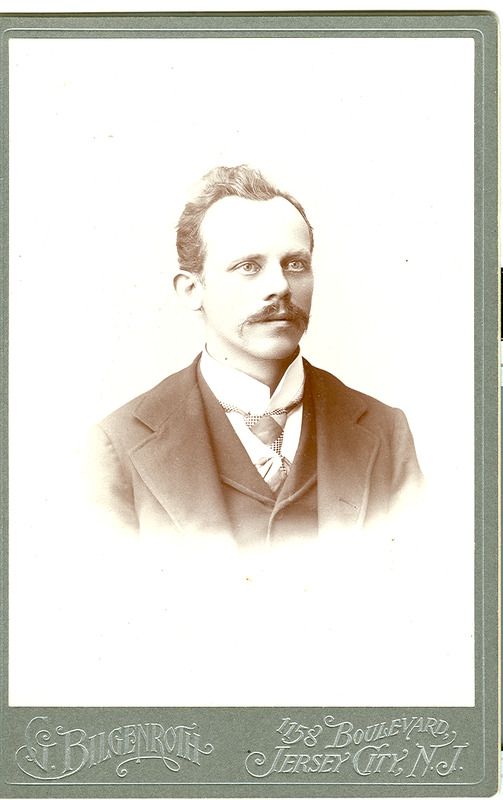 Charles Missenharter, b 1910, died 1910. August came to the United States on the ship named Neckar. It arrived in New York May29 1880 at 19 years old. The 1910 US Census shows August as working as a machinist in a watch factory. Below are pictures of Marie Bilgenroth and August Missenharter. I feel the Missenharter's story should be included in these pages since they influenced my life and are part of our children's bloodline. I had often heard my mother -in-law Carrie and her sisters Emma, Elsie Florence and Helen speak of the Baron. Sometime after my marriage I finally asked who was the baron? Carrie replied to my density, "Why, he was my grandfather, Baron Karl August Missenharter". Here is the story she unfolded to me and was co-berated by her sisters. Karl Missenharter was a baron and burger-master if Stuttgart, Germany. He owned a silk factory and vineyards, traveled extensively, had a mansion in Stuttgart, chateau in Switzerland, and apartments in Paris and London. His wife was an opera singer and they had four children. Karl wanted to go to America but his wife would not give up her career nor leave Germany. In the meantime Karl fell in love with his wife's personal French maid. He left Germany to settle in Brooklyn, New York with the maid Catherine. After my husband Stanley passed away in 1984, I was free of his objections to work on genealogy. The research and lengthiness of this project soon caused me to need a rest from it. I thought, perhaps the Baron, despite my doubts of the authenticity of the legend, could be the protagonist of a love story. Research of the German history and Karl started. Dr Ruepprecht, of the Stuttgart Genealogy Society, wrote to me in 1986, quote " Karl Missenharter was an instrument-maker (as his father was), not a baron or burger master of Stuttgart. It is not known that his wife was an opera singer, this is quite beyond probability" unquote. After reading this, the "French personal maid" also seemed beyond probability and caused more questions. Why the fictitious story of Karl? History tells us that by the 1860's the Industrial Revolution was in full swing. England, France and Germany were far ahead of the U.S. and guarded their inventions zealously. The U.S. needed the in-put of learned professionals. Engineers, mechanics, etc.. and enticed them with opportunities. This and the political unrest caused many to migrate here. If Karl had met Catherine in Germany, fell in love and ran away with her, his family, especially his son August, would be unforgiving, and this did not happen. Perhaps Karl had invented a revolutionary machine that would be more lucrative if sold in the U.S. His prospects would be boundless and this would account for his wealth. There is no record of a divorce between Karl and Maria. The question of Karl's wealth still remains. Was it from an invention or was it Catherine's. The latter would explain future events. There is no family gossip about Karl's activity or employment in the U.S.. Vague data existed about them moving from Brooklyn to Forrest Hills or Mahiva New York to farm or grow grapes. His death date us unknown but calculated at the turn of the century. 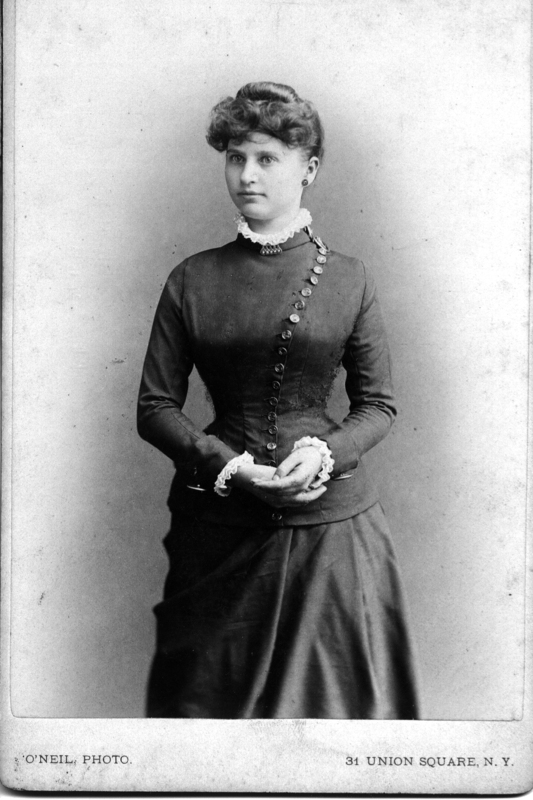 Maria died in 1903 in Stuttgart. 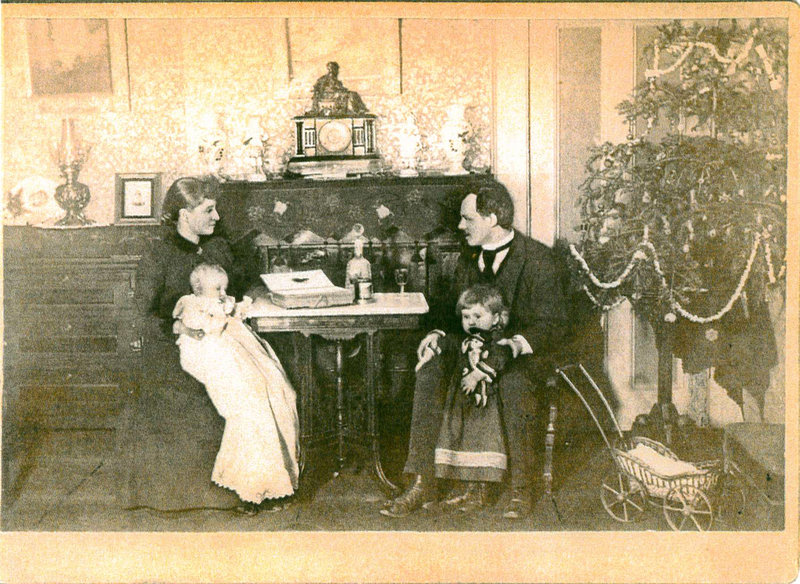 August arrived in the U.S. about 1878 to live with Karl, Catherine, and the baby Charles. He soon found employment as an instrument-maker with a company that owned all patents on all inventions of employees. One of his inventions was the machine to mass-produce, fold and glue envelopes. While riding an open-air trolley in New York, August noticed a woman across the aisle losing her hat in the breeze. He had the conductor stop the trolley while he retrieved the hat. During the ensuing conversation August learned she was Marie Bilge Roth of Hamburg Germany and they had mutual friends; they married not long after. It is believed that Karl and Catherine bought the family house at 34 Stevens Ave. in Jamaica Queens New York as a wedding gift for them; there they stayed until his death. None of their children learned to speak German as August and Marie spoke on English to them. She was the typical haus-frau. She rose early each morning to bake the daily bread; lunch and dinner started with a soup, salad accompanied the main course and beer was served at each meal. She never sat at the table until the men and children were served. When I met her she was a tiny, round, gray haired woman with a pleasant and caring disposition. Their home was never empty of their children and grand children. 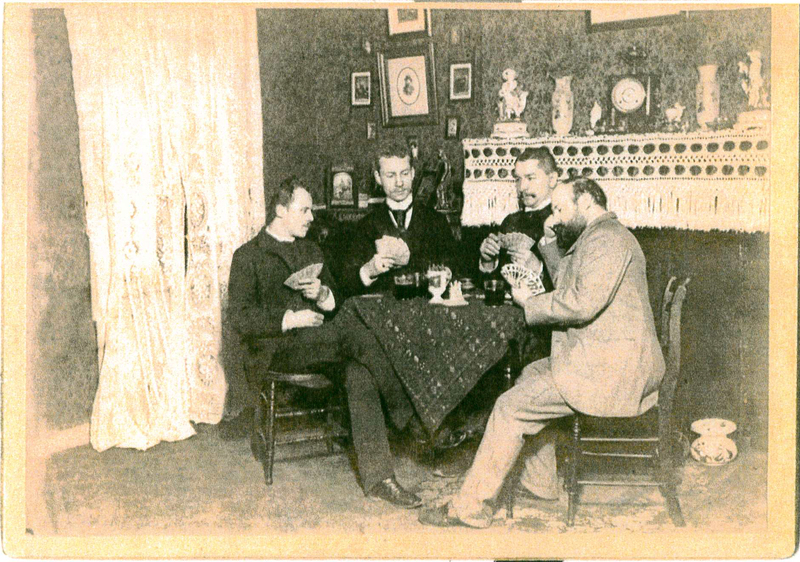 The house was typical of that era. The first and second floors were separate two bedroom apartments; the third floor had three rooms. August and Marie rented out the first floor until Carrie married and moved into it. Carrie and family moved out to a house down the street when Helen married. 1-	A son born 1883, died at birth. 2-	Emma born 1885 and never married. 3-	Elsie born 1888 married Ranse Rogers and moved to Staten Island New York to raise their family. She was the only one to be aloof with her siblings and families. She maintained a superior "Barons grand-daughter" attitude, which was passed on, to her daughter. 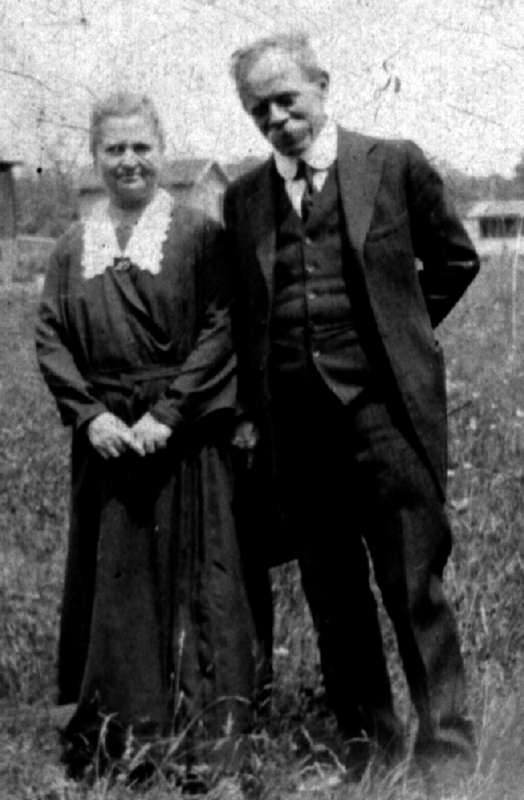 4-	Carrie born 1890 married Stanley Rogers, brother of Ranse. Their children were Gwen and Stanley Jr.-age 10 and 8 when they moved from the house. 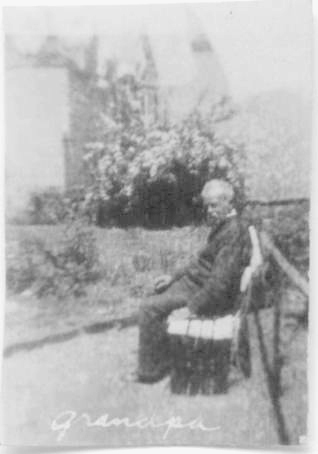 5-	Frederick born 1894 married Adele Crutchley and also lived there. Adele died in the birth of their son Freddie. Fred Sr. was an accountant at Booth SS Company in Manhatten and was killed by a policeman when Freddie was in his early teens. 6-	Florence born 1896 married (? )Bradley who left her when she became pregnant with Florence Jr. He returned a few years later and left again when Florence became pregnant with Doris. Florence and the girls stayed at 34 Stevens Ave until the girls were married. 7-	Helen born 1905 married Walter Tulp. They and their 2 children Walter and Virginia lived there until the children married. I had started seeing Stanley Jr.(buddy), son of Carrie, in 1935 and went to visit his grandparents, aunts and cousins at Stevens Ave. Grandma Missenharter was like a mother hen with her many chicks. Grandpa was a short, gray haired man with a heavy mustache; retired, he sat beaming at everyone, seldom talking. It took a long time to know who everyone was and what children belonged to which aunt. Never having known the closeness of a large family, I fell in love with them all. One never knew what one of the cousins, mostly all in their teens, would get an idea to do. There were trips to the ocean, lake etc..but the most fun were the backyard cookouts. August died in 1937 and Marie in 1939. All felt their loss deeply but the family continued on as before. Three of the grandchildren married in 1940. Gwen married Fred Ludin in February, Stan married me in March and young Florence married Vic Iorio in April. There were continuous parties and showers for each. No one had as yet gotten over the depression so gifts were small and practical, decorations often reused but everyone had a good time. Then the war came along. Even during the war Grandma's ritual of having a coffee break. I would rush through my housework, gather up our children and go to Stevens Ave. There Aunt Florence, Aunt Helen, young Flo, Gwen and her children, and I, (and sometimes others), would sit around the kitchen table with coffee and sweet buns, we'd laugh, gossip, share recipes and problems; I was a part of that large family. This was the situation in 1941 when Emma received a letter from Germany. Karl's youngest daughter Caroline was asking for help, food, clothing and money. The war in Germany had taken everything and she was destitute. I remember Emma crying; she had no money to send, even if she could send food and clothing-wouldn't the Nazi regime confiscate everything? August and Marie had left no legacy except the free and clear house. She sent the letter to Karl's & Catherine's son Charlie and asked him to help. It is not known if he did, he died in 1943 about 68 years old.